“Kapeel in meto”, translates to mean, “The skill of the ocean…”, this is what a $31,000 grant to Waan Aelõñ in Majel (WAM) will help preserve. The money comes from the U.S. Ambassador’s Fund for Cultural Preservation and was one of only 47 such grants around the world this year. 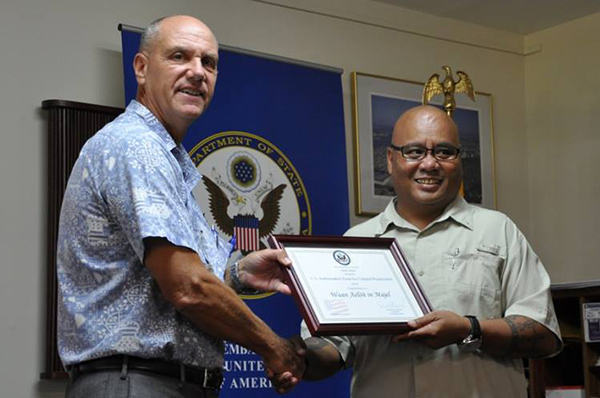 Embassy Majuro congratulates the students and staff at WAM as they navigate into a future that will be more secure when these vital skills are secure.